The 2019 Game Developers Conference (GDC), held last week in San Francisco, welcomed an estimated 20,000-plus developers, gamers, publishers and tech vendors from across the globe. From the tech driving the future of gaming to the industry’s most prevalent conversations and trends, here are five takeaways and headlines from the 13th annual show. Compared to consumer-oriented conferences like E3 and the Consumer Electronics Show (CES), GDC isn’t well-known for its headline-generating announcements. 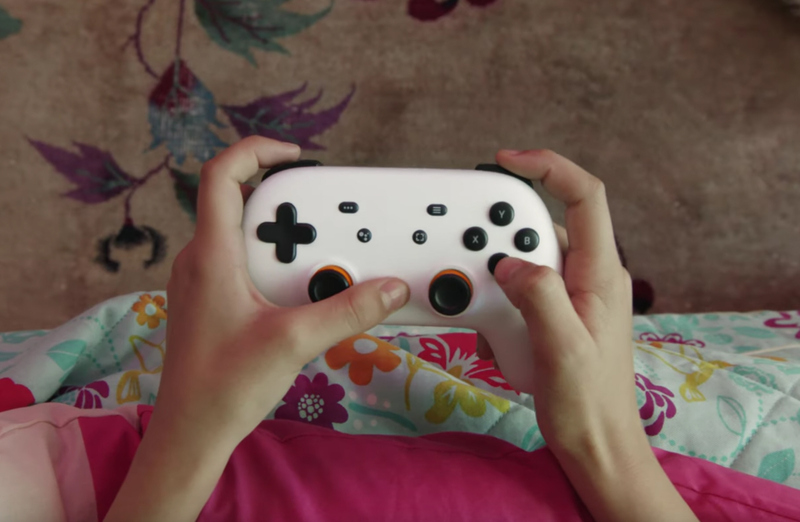 That wasn’t the case this year, as Google generated major buzz with the official introduction of its cloud gaming platform, Stadia. According to Google, Stadia will be capable of streaming AAA titles from its cloud platform straight to any device through the Chrome browser -- no console required. The press conference included a demo and preview of the new Stadia WiFi-connected controller but did not divulge information about pricing or provide a full list of supported titles. Stadia is slated to launch later this year. The announcement comes amid rumors surrounding Amazon’s planned entry into game streaming. Microsoft, meanwhile, is expected to fully unveil its game streaming technology, Project xCloud, later this year. With established services like PlayStation Now and emerging cloud-based gaming solutions like the remote, high-end gaming computer Shadow, which launched in the U.S. last year, the race for cloud gaming dominance will be one of the biggest stories to watch in 2019 and beyond. Infrastructure and network performance for multiplayer games was a dominant theme throughout the full week of conference sessions. Designing, scaling and securing infrastructure, all while minimizing latency, is an ever-evolving, persistent challenge for studios and developers. All the major cloud players were on hand to pitch their gaming specific infrastructure and network solutions, including Amazon (Game Tech), Microsoft (Game Stack) and Google Cloud. Hyperscale cloud, however, was not the only infrastructure solution with a compelling online gaming use case. A mere six weeks after the hugely successful launch of Apex Legends, Respawn Entertainment and its server hosting partner Multiplay provided a behind-the-scenes look at how a bare metal-first strategy helped the game scale from 5 million players in its first three days to 50 million players in its first full month. "Multiplayer game launches should be boring, operationally at least," said Larry Rye, lead solutions engineer at Multiplay. "The last thing you should worry about is game servers." Rye explained that Multiplay prioritized allocation of Apex Legends sessions to bare metal servers to optimize both performance and keep costs down, moving game instances to the public cloud only when all dedicated servers were at capacity. The global esports market is set to reach $1 billion in 2019, and unsurprisingly, the still-young industry was a popular topic all week at GDC. Roughly a dozen conference sessions took aim from all angles: from improving the quality of online tournaments and governance of collegiate esports programs to career development tips and live audience engagement tactics. In a Thursday panel, Doug Higgins, co-founder of Sapphire Ventures, spoke about his firm’s new early-stage venture platform Sapphire Sports and the ways esports are likely be monetized in the years to come. "You need to have a diversified revenue stream," Higgins advised organizations planning entry into the market. "Comparing esports to traditional sports, three revenue streams are already pretty established -- sponsorships, broadcasting rights and match day revenue." To increase investor confidence, however, Higgins expressed the need for esports to develop more solid constructs around how leagues will function at all levels. "It’s to everyone’s benefit if esports is done the right way," he said. GDC is a perennial draw for indie developers and studios, serving up a variety of hands-on showcases (including a Shark Tank-style game pitch competition). The popular alt.ctrl.GDC returned for its sixth year, featuring 20 creative, accessible and immersive uses of alternative controllers in original games. The 21st Independent Games Festival Awards, held Wednesday, honored an impressive and diverse array of titles. Return of the Obra Dinn, a beautifully illustrated murder mystery adventure by Papers, Please developer Lucas Pope, won both the Seamus McNally Grand Prize and the award for Excellence in Narrative. All IFG titles were playable on the exhibition floor. In other noteworthy news for aspiring developers, Epic Games, developer of Fortnite, announced a $100 million mega-grant for developers, artists and creators using Unreal Engine. Individual grants will range from $5,000 to $500,000 and recipients will retain rights to their work. Several highly attended sessions focused on the role of developers in building both games and gaming communities that are healthy, accessible and inclusive. In a Wednesday session, psychologist Celia Hodent, author of The Gamer’s Brain: How Neuroscience and UX Can Impact Video Game Design, spoke about ethics in the gaming industry, particularly the need for developers to treat issues like addiction and manipulative monetization practices with care, using the latest scientific research as a guide. Referencing the U.S. Federal Trade Commission’s plans to hold workshops on the use of loot boxes in games, Hodent encouraged attendees "to address it before we get regulations on it." Specifically, she recommended studios and publishers avoid using the loot box mechanics in games rated "Teen" and "Everyone" and restrict third-party marketplaces where digital loot can be sold. Challenges and opportunities for improvement aside, the gaming industry and its influence in society has arguably never been stronger. In a Thursday panel, Roger Altizer, associate director of the Entertainment Arts and Engineering program at University of Utah, showcased a litany of research detailing the many ways video games can improve one’s physical and psychological health, as well as contribute to culture in ways that transcend passive entertainment. "Folks love talking about negative aspects of games," he told attendees. "Instead, we need to start from the assumption that games are good for you." 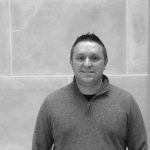 Josh Williams is Vice President of Solutions Engineering at INAP. His team enables enterprises and service providers in the design, deployment and management of a wide range of data center and cloud IT solutions.